At The New York Eye Cancer Center, we value transparency to the highest degree and will always keep patients up-to-date with all aspects of our work. With our new Results Page as an example, much of that work involves making scientific information clear and readily available to our patients. This is why we are answering all questions regarding the new data privacy regulations established by The EU General Data Protection Regulation and how your personal information is recorded into our website. “The EU General Data Protection Regulation replaces the Data Protection Direction 95/46/EC and was designed to harmonize data privacy laws across Europe, to protect and empower all EU citizens data privacy and to reshape the way organizations across the region approach data privacy … The GDPR not only applies to organizations located within the EU but it will also apply to organizations located outside of the EU if they offer goods or services to, or monitor the behavior of, EU data subjects. Current and prospective patients to NYECC are able to request an appointment online. In order to schedule an appointment for you, we require a name, email address and phone number. This information is made securely and is used only by employees of NYECC as a means of scheduling your appointment. This information is not sold or rented to any third party. In order to comment on blog content on the website, we require a name and email address. The name, while published, is input by you, and can be initials or a pseudonym. The email address is not published and is used as a means of possible contact from NYECC should you permit it. As with other websites, internet browsing may lead to the collection of automatic information, such as: internet IP, browser software, a recent record of browsing activity, and internet cookies. Regarding the privacy of children, the NYECC website does not knowingly collect information from anyone under the age of 13 who is unaccompanied by a parent or guardian. The website’s content is not directed to children under the age of 13 unaccompanied by a parent or guardian. To the greatest extent of the law, we reiterate that we do not disclose any personal information to any third party with your authorization. Any concerns regarding your information can be answered by contacting us directly at 212-832-8170. Since 1995, Dr. Finger has developed The New York Eye Cancer to be a world-class facility for the diagnosis and treatment of eye cancer. NYECC is a trailblazing practice, and continues to be so due to the trust, loyalty, and faith of our patients and supporters. With 87,110 diagnoses estimated to be made in 2018 for U.S. Americans, skin cancer, particularly a melanoma, is the most frequently diagnosed cancer in the United States. 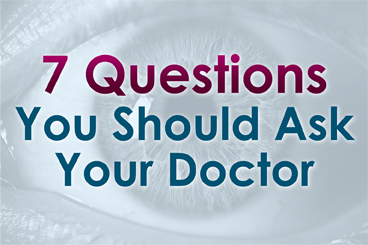 Ocular melanomas, however, remain uncommonly diagnosed, affecting just six in every one million people a year. Given the extreme rarity of ocular melanomas, doctors and researchers were shocked to find this disease found in highly concentrated numbers in two states. A total of 36 people — all graduates from Auburn University, Alabama — were diagnosed with ocular melanoma. From Huntersville, North Carolina, 18 patients were also found out to have the same disease. “And did you understand then how strange that was?” asked Werner. All three women were treated at Sidney Kimmel Cancer Center at Thomas Jefferson University in Philadelphia, Pennsylvania. McCrary mentioned Green and Allred’s similar diagnosis to her oncologist at Kimmel Center, Dr. Marlana Orloff. Orloff and her fellow researchers and oncologists at Kimmel Center immediately began to investigate this bizarre case. Thus far, the Alabama Department of Health states that “it would be premature to determine that a cancer cluster exists in the area”. Officials at Auburn University hope that research will help illuminate the cause of this rare cancer appearing at such high concentrations in Alabama and North Carolina. Juleigh Green, pictured above, was the first of her two friends from Auburn University to be diagnosed with ocular melanoma. McCrary’s personal journey in dealing with her cancer diagnosis lead to the creation of the Auburn University Ocular Melanoma Page on Facebook, which has astoundingly discovered 36 more graduates afflicted with ocular melanoma. The Facebook Page offers itself as an effective support network for these graduates. Kimmel Center researchers continue to look for answers to explain these phenomena both in Alabama and North Carolina. Stay tuned for the latest updates on this case and others by keeping eyecancer.com in your bookmarks.